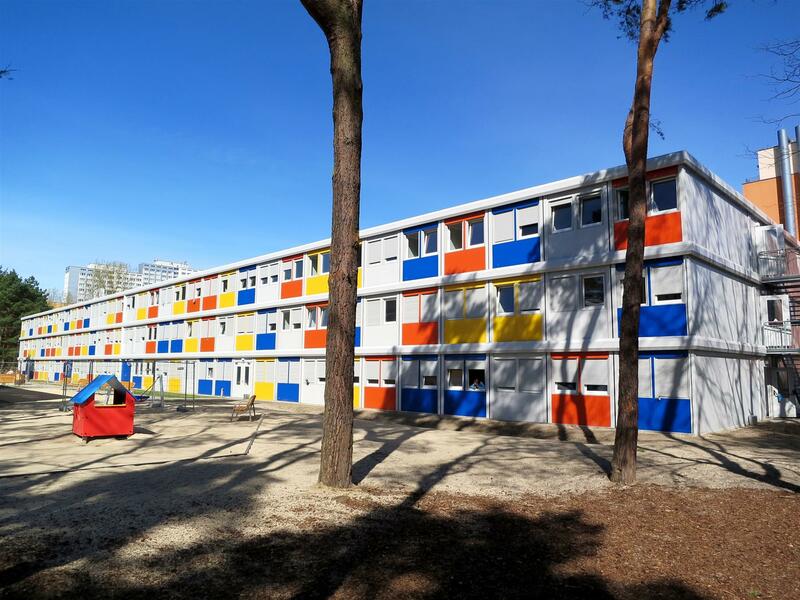 Germany/The U.K./France/Italy relies on mobile buildings made from residential cabins! 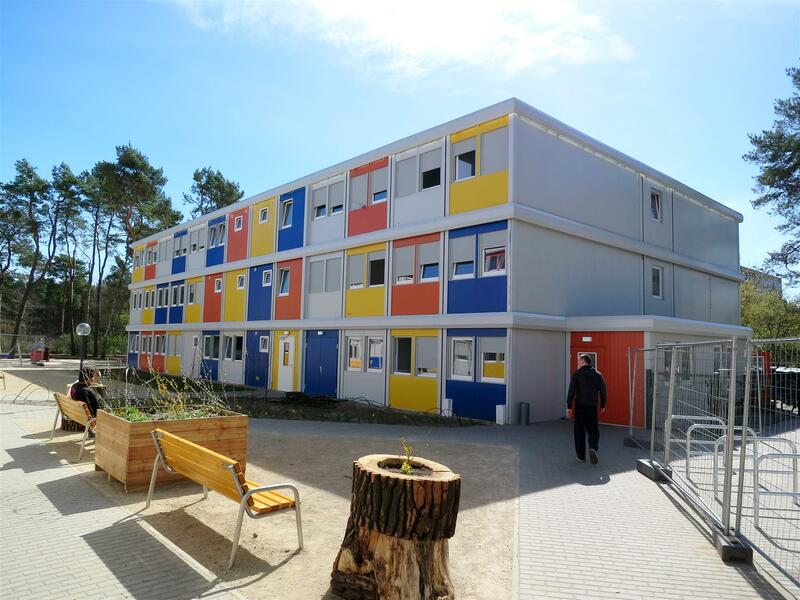 In Berlin, within a few months, we built living accommodation for 2,400 refugees with the support of our partners! 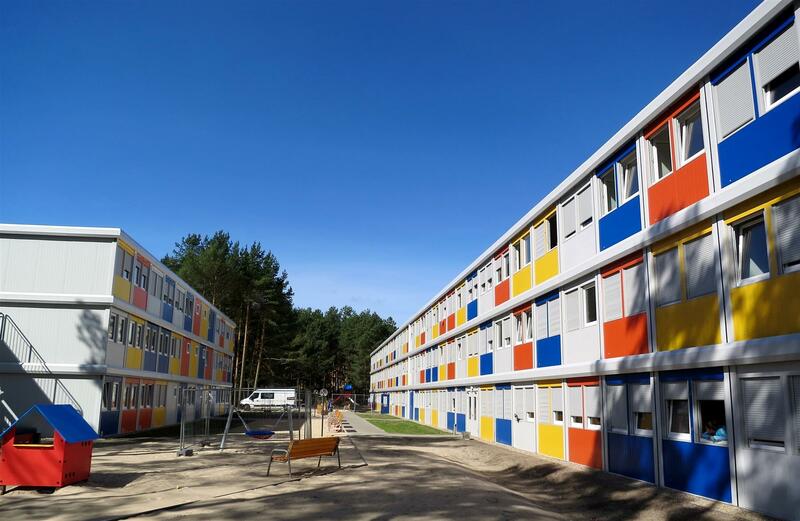 This will offer refugees the following infrastructure: lounges, bedrooms, wash rooms, social rooms, children's playrooms, administrative offices, training rooms and much more. 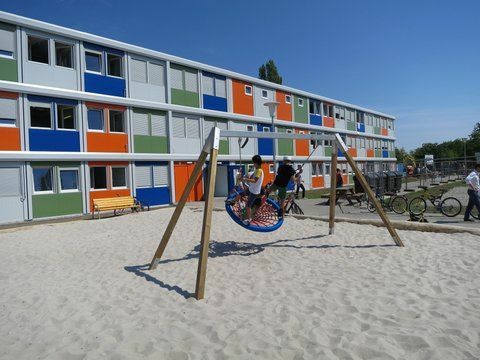 Outside, generous exercise areas and playgrounds were also created! 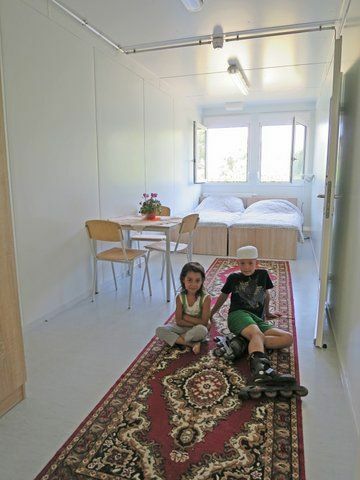 The current lack of accommodation for asylum seekers requires rapid action from many local authorities. 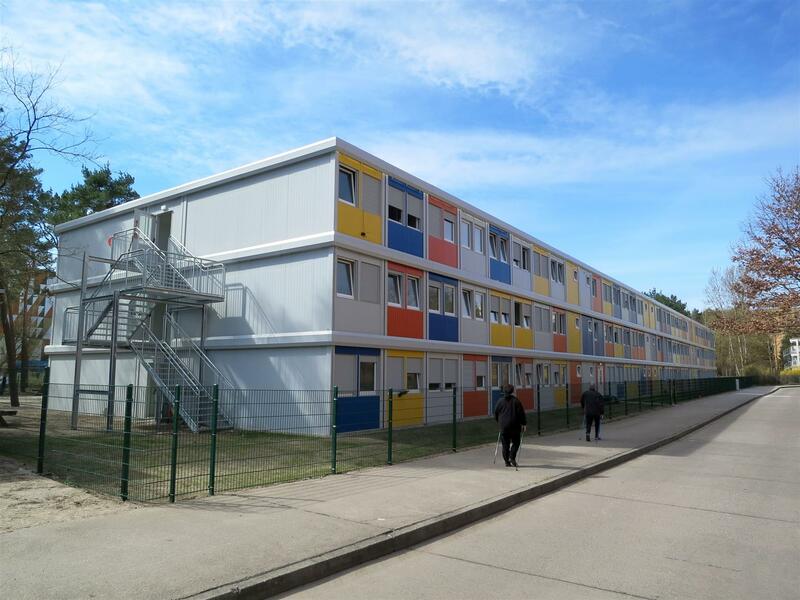 Last year CONTAINEX built numerous accommodation blocks made from cabin modules for asylum seekers. 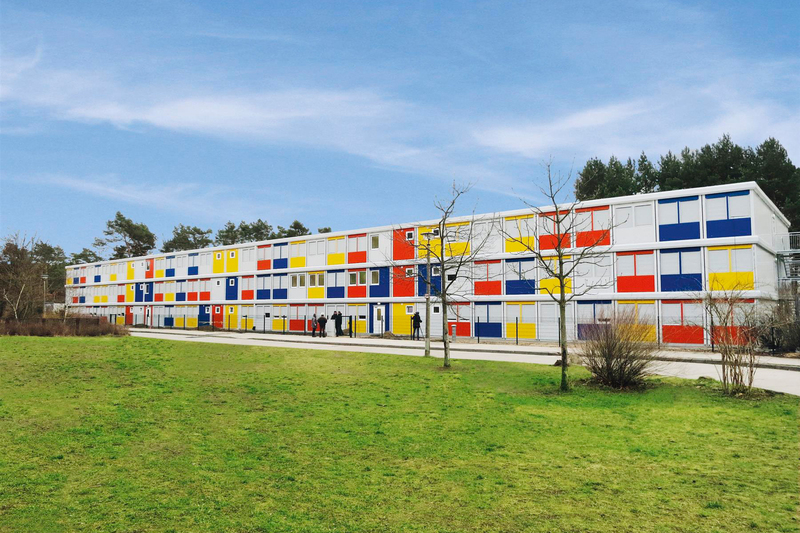 The modular construction allows for a variety of design possibilities. 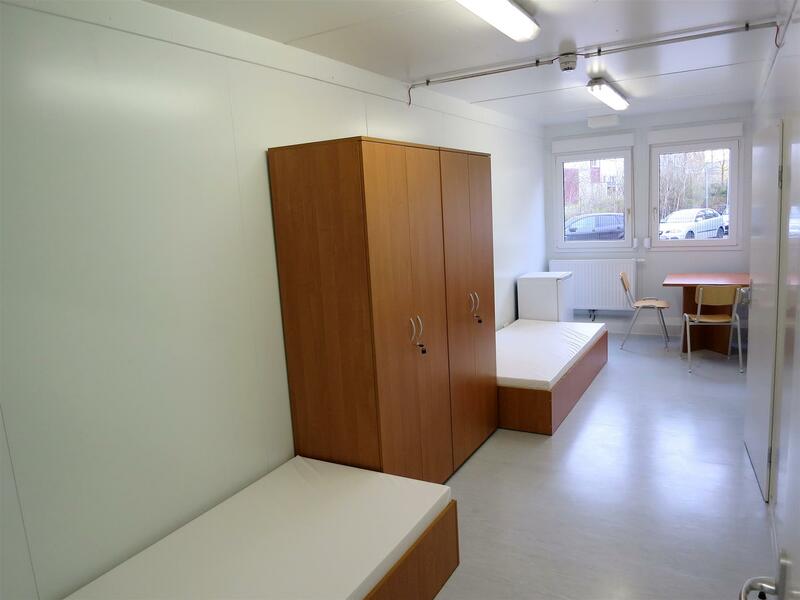 Thanks to their flexibility, accommodation blocks can be installed in any size or configuration on any site that has an electricity connection, a running water supply and a drainage channel. 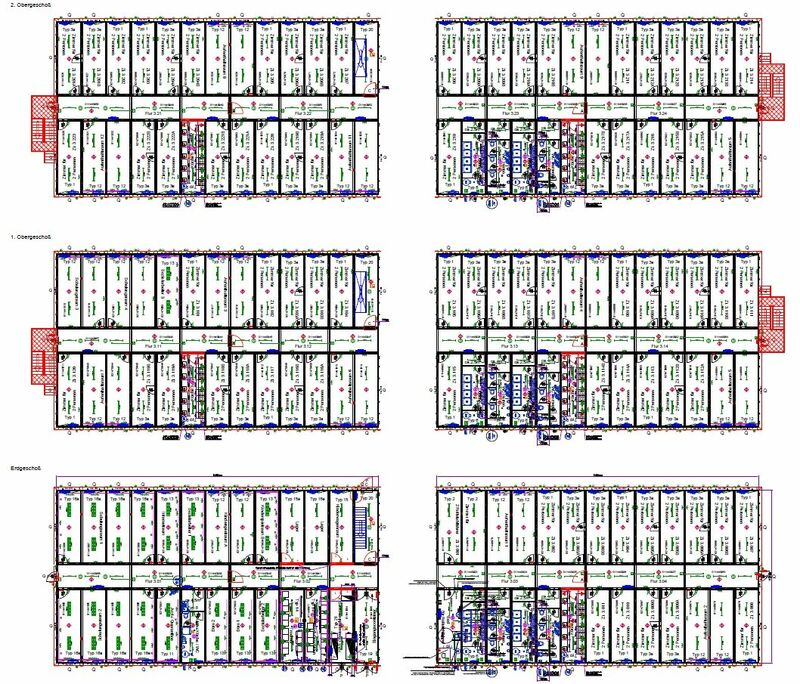 The modular system can also incorporate structural engineering requirements such as energy saving regulations (e.g. EnEV), fire protection regulations etc. Due to these high-quality facilities, operating costs can be reduced to a minimum. 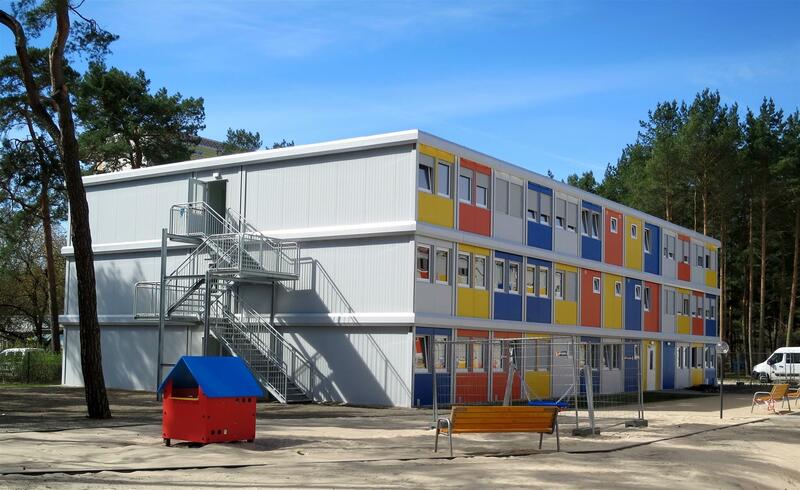 The high production capacity of CONTAINEX - the cabins and modular sytems are produced in our European factories - enables quick delivery times. The systems can be expanded and re-used for a wide range of applications. 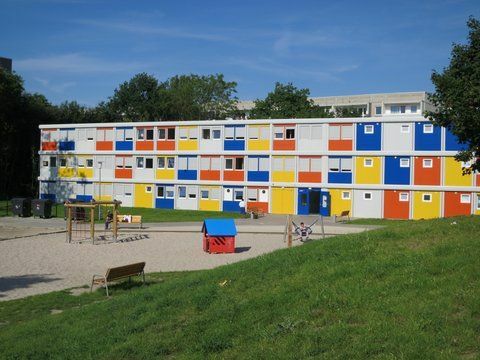 Examples include club houses, youth centres, event centres, replacement buildings for building restorations etc.